Bob Moyer’s not particularly into vampire romance fiction, but if a vampire writer wants to try writing a thriller, he’s willing to see what she can do. 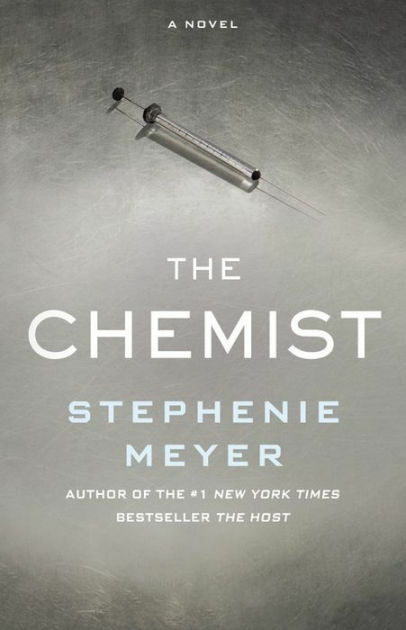 THE CHEMIST. By Stephenie Meyer. Little, Brown and Co. 528 pages. $28. Stephenie Meyer came out of left field with her Twilight series and dominated the vampire-themed fantasy romance genre some years back. Now, she comes out of another left field and deposits her latest book at the top of the thriller list. It will be difficult to topple The Chemist from that position. A torture specialist for a secret government agency, she’s already survived three attempts on her life by her own agency; she’s “…a machine. Pitiless and relentless…She had a natural affinity for the capabilities of the human body and was a genius with a beaker.” She’s always on guard, protecting herself from getting knocked off. When a former superior contacts her about getting off the hit list by doing a job right down her alley, she takes on the task, albeit warily. It’s all a trick, of course, and she ends up in a reluctant trio, which includes another endangered secret agent from another agency. The accumulation of agents increases the fascinating details of survival that keep the pages flying by. As they jump from one site to another, the trio slowly turns into a pas de deux. Meyer knows how to do romance, and she does it here in context. Where a lesser writer would play down the intrigue while playing up the love, she integrates the romantic … er … chemistry between two of the characters into the action. The author weaves romance and violence into a narrative that keeps the reader wanting to know not just what will happen, but also how it will happen. The less said about the what and how the better for your enjoyment. Meyer uses detail with such nuance and ingenuity that any revelation would be a spoiler. Her fans will be pleased with the romance; others will probably be surprised that she does thriller as well as anyone currently writing. 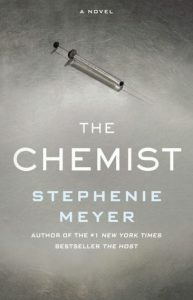 This entry was posted in Popular fiction, Thriller/Suspense, Uncategorized and tagged Stephenie Meyer, The Chemist, thrillers. Bookmark the permalink.